With an arctic cold front impacting our region, the Greater NY Red Cross is providing some tips to help residents stay safe. More information on emergency preparedness can be found at www.redcross.org/prepare or by downloading the Red Cross Emergency App. HOME HEATING SAFETY Heating fires are the second leading cause of home fires. 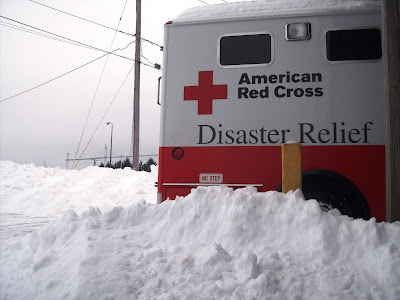 Moreover, the Red Cross sees a spike in home fires during the coldest days. It is critical that households have working smoke alarms and that families practice their fire escape plan. Make sure coats, gloves or mittens, hats, boots and warm clothing are available for all household members, along with extra blankets. Eat regular meals and stay hydrated, but avoid caffeinated or alcoholic beverages.